Gemstone producer and developer, Richland Resources Limited, has announced the sale of its shares in Tanzanite One Mining Limited to Sky Associates Group Limited for a purchase price of USD 5.1 million, subject to approval from shareholders, the Tanzanian Minister of Energy and Minerals and South Africa Reserve Bank. According to CEO of Richland Resources, Bernard Olivier, the sale follows the company’s new focus on building its Australian assets. “The proposed sale allows Richland to focus on sapphire production in Queensland and use our mining and marketing experience to rapidly build revenues and profits,” he said. Tanzanite is mined from a single source in an area that is 2km wide and 4 km long and divided into 4 blocks (A through D) near Mount Kilimanjaro, making it nearly 1,000 times rarer than diamonds. The proposed sale to Sky Associates sale refers to Block C, where current shaft depths reach 900 meters and geological testing indicates that the layers of tanzanite exist to 2,000 meters, giving the mine a 30 year lifespan at current mining rates. At current mining rates that gives a 30 year lifespan. Tanzanite is a variety of the mineral zoisite and produces a bi-product gemstone called tsavorite, a form of grossular garnet. 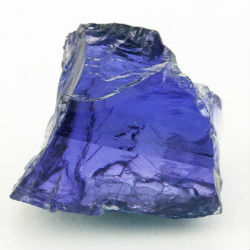 Tanzanite was first discovered in Tanzania in 1967 and was first sold to consumers in 1968 by Tiffany & Co. in New York City, US. Mining of the gemstone is still largely performed by individuals, with operations in Block C having the benefit of the only state-of-the-art facility in the mining district.